The days are getting shorter as we hurtle toward the end of the year, but that just means you have longer evenings to spend out doing activities around the city. Here are a few of our favorites. Jose Antonio Vargas returns to L.A. on his tour promoting his recent book, Dear America: Notes of an Undocumented Citizen. This event finds him in conversation with journalism professor Christina Bellantoni at the USC Annenberg School for Communications and Journalism. 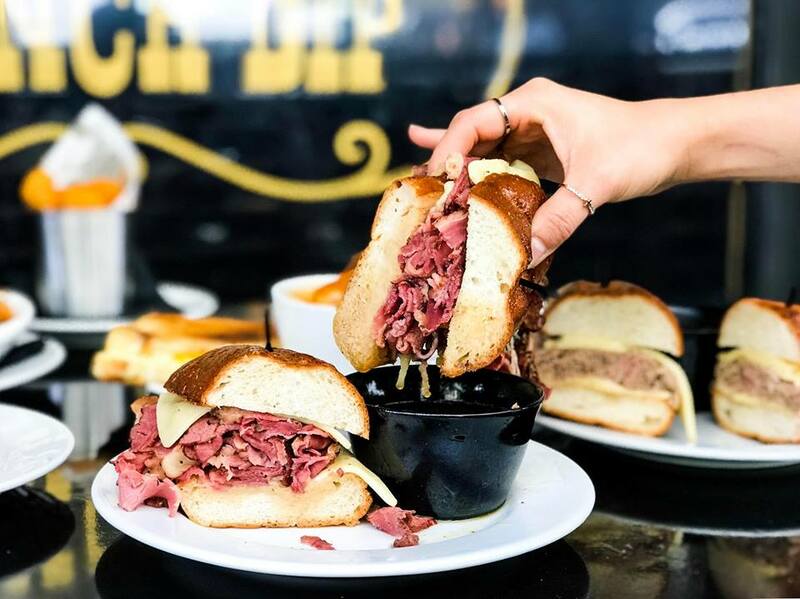 National French Dip Day coincides with the 110th birthday of local French Dip icon (and, according to some, originator). Celebrate with a sandwich and martini combo for $10 and take in the historic atmosphere of one of the city’s oldest restaurants. Popular podcast The Allusionist gets the word nerds going with its whimsical investigations of the English language. For the live show, expect to listen to never-aired segments and experience special visual and musical performances. Join local lifestyle brand the Pretty Cult for an evening of music–and a little mysticism–at Gold-Diggers. You’ll be able to shop the current wares, including a limited-edition lipstick collab, and have your tarot cards read, while listening to tunes from Holy Wars and Spelles at this free party. Mad Men creator Matthew Weiner returns to TV with The Romanoffs, a new anthology series for Amazon Prime Video. LACMA hosts an episode screening followed by a conversation with Weiner, Andre Jacquemetton, Marie Jacquemetton, Kathryn Hahn, Jay R. Ferguson, and Annet Mahendru. SSION started out as a punk band in Kentucky, before the project’s creative heart, Cody Critcheloe, decided to move in a different direction musically–and geographically, relocating to Kansas, then New York, then L.A. Critcheloe has since found acclaim as a director of music videos and visual artist, and still makes distinctive, art-pop-leaning, music under the SSION name. Quirky Burbank ‘hood Magnolia Park is known for its assortment of local boutiques and small businesses. Pay a visit this evening when they welcome the holiday season with a nine-block-long party involving 28 food trucks, festive photo ops, family activities, and 75 participating retailers.